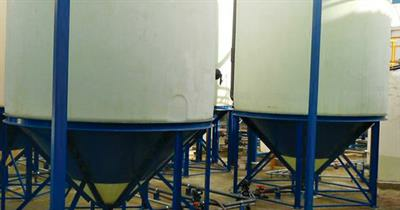 Electrolytic Technologies is the leading manufacturer of on-site chlorine and sodium hypochlorite generation systems. For decades, industrial users of chlorine gas, caustic soda and sodium hypochlorite have been forced to rely on regular deliveries of these chemicals to sustain their processes. With Electrolytic Technologies` innovative and cost effective on-site generation technologies, the safety risks and unpredictable costs of bulk delivered chemicals are a concern of the past. Klorigen generators are essentially small-scale chlor-alkali plants that generate either chlorine gas and sodium hydroxide or sodium hypochlorite in the same high quality, ultra pure, 10-15% concentration levels, as bulk (membrane system generated) sodium hypochlorite is produced today. These membrane cells make the Klorigen system unique, and unlike conventional sodium hypochlorite generators do not require weekly backwashing. With Klorigen systems chlorine gas or sodium hypochlorite is produced and delivered at the point of usage and on demand eliminating unnecessary costs of purchase including supplier costs, their mark up, transport, and your storage space. Klorigen systems are delivered fully assembled, ready for installation. They are highly reliable and require minimal maintenance. From 40 pounds to 20 tons of equivalent chlorine per day, Electrolytic Technologies has the latest technology and solutions to safely and conveniently generate the chemicals that you need on-site and on-demand. Klorigen solutions provide the ultimate in on-site and on-demand generation of chlorine gas and sodium hypochlorite, eliminating the risk, uncertainty and safety issues needed with the assurance that the end product is of the highest quality, meets your purity specifications and is cost competitive. Klorigen provides greater autonomy for your facilities by reducing the dependence on third party suppliers and providing production scaled to demand. Considered Inherently Safe Technology (IST), Klorigen™ provides a safe and efficient alternative to traditional pressurized elemental chlorine gas and a lower cost option for commercial bulk-delivered sodium hypochlorite (a.k.a. “bleach” or “liquid chlorine”). This technology allows users to generate an effective broadband disinfectant at the point of usage and on demand, eliminating any possibility of hazardous release and operating with efficiencies that deliver savings in nearly every application. Klorigen™ generators uniquely combine the electrolysis of brine with advanced membrane technology to deliver chlorine gas at atmospheric pressure and caustic soda at 15% concentration. In addition, the process may combine these two products to produce sodium hypochlorite at concentrations up to 15%.